More than half of those who own a Land Rover also own a dog. 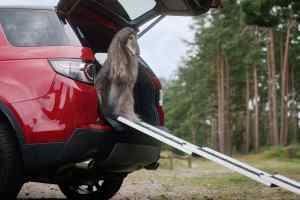 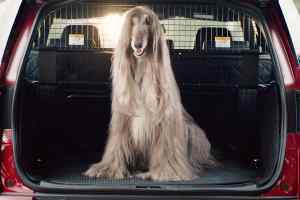 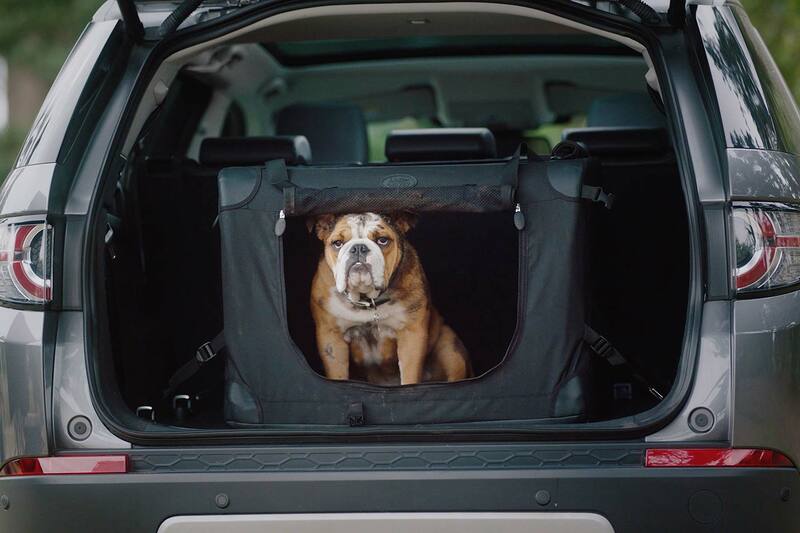 Spotting an opportunity, Land Rover has released a set of custom-designed Pet Packs to make its vehicles more dog-friendly. 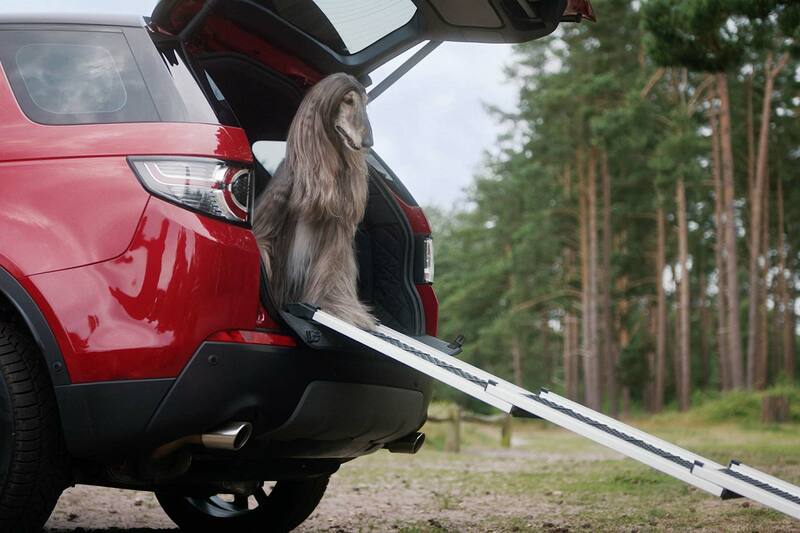 The new accessories have been revealed to coincide with this Sunday’s International Dog Appreciation Day. 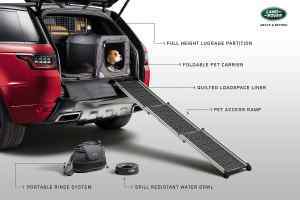 There’s a Pet Pack kit for every Land Rover model, and prices start from just over £360. 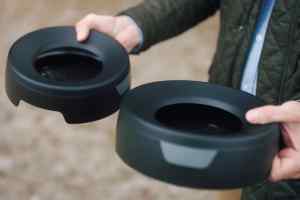 Each comprises a selection of accessories that do what their name suggests. 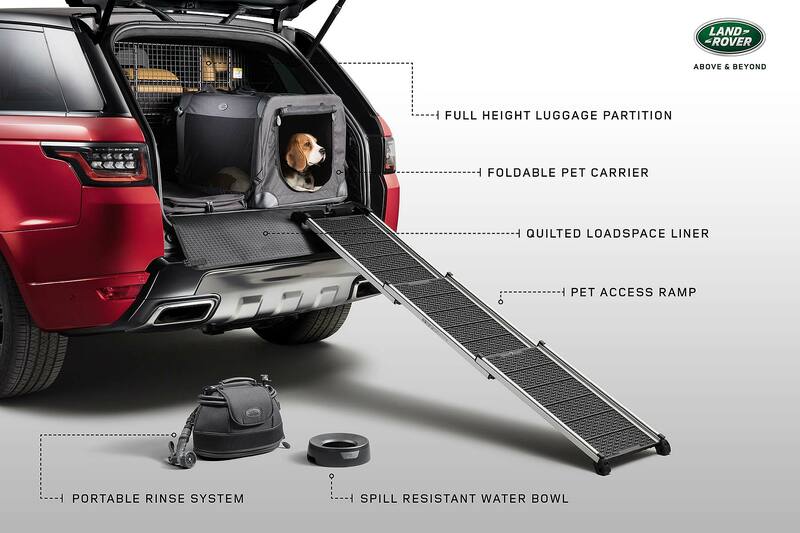 Owners can also purchase accessories individually. 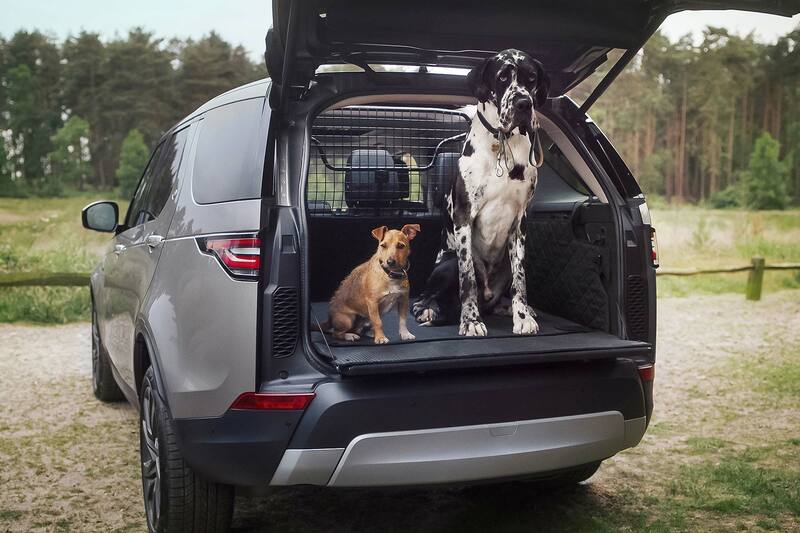 “Land Rover is all about enjoying the great outdoors and that goes hand-in-hand with dog ownership for many customers,” said product marketing director Finbar McFall. 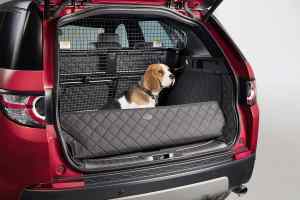 “Our customers told us that the comfort of their dogs on car journeys is crucial. 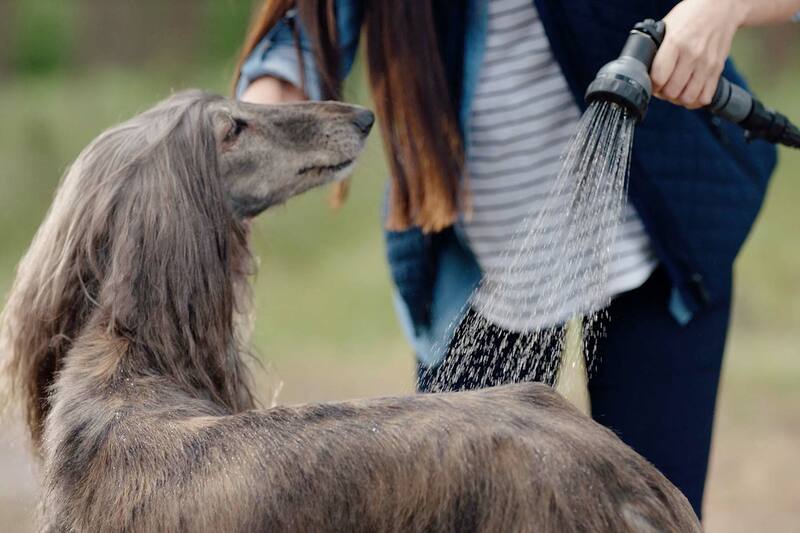 They are part of the family and we recognise that. What’s good for dogs is also good for retained values. 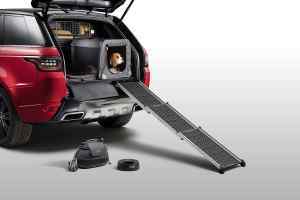 The handiest feature for dogs may be the foldable pet ramp – particularly if they’re smaller or older. 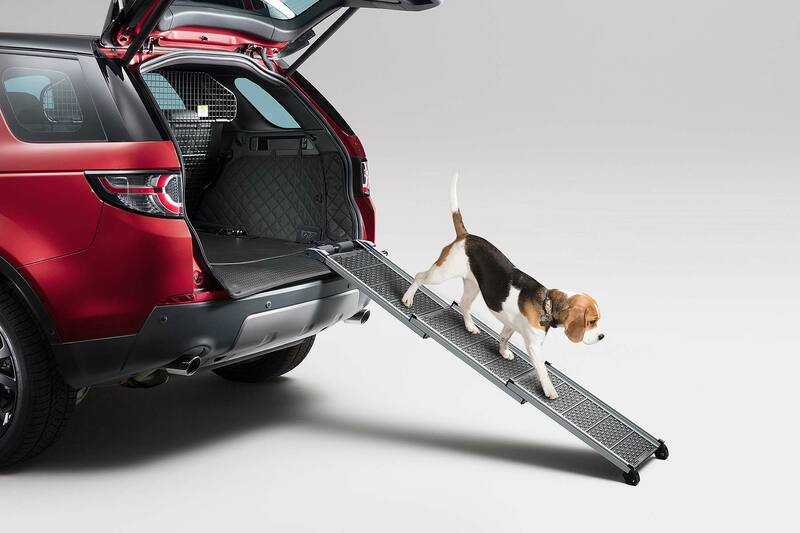 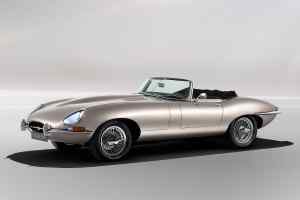 It’s built from aluminium side panels and a plastic centre section: for the safety of dogs, it’s covered with a high-grip tread pattern, and rubber feet stop it from slipping. 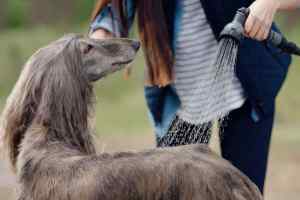 For dogs who have been dogs, the portable rinse system will deliver five minutes of shower power, and it has five spray settings – it’s also good for rinsing off muddy bikes or wetsuits, says Land Rover. 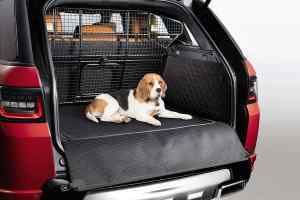 The quilted load liner protects the floor, seat backs and even the side wall carpets from dog detritus; it’s soft, so dogs will be comfy, is wipe-clean, and has a detachable bumper protector to stop scratches from paws and claws. 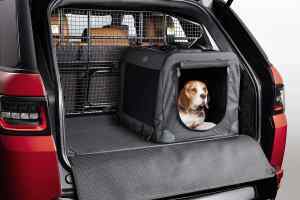 And the foldable pet carrier? 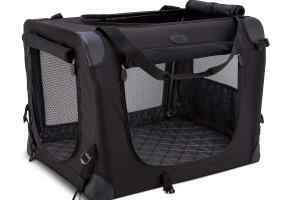 It’s built from a lightweight metal frame and there’s a nice soft quilted fabric cushion for dogs to sit on, and net windows so they can see out. 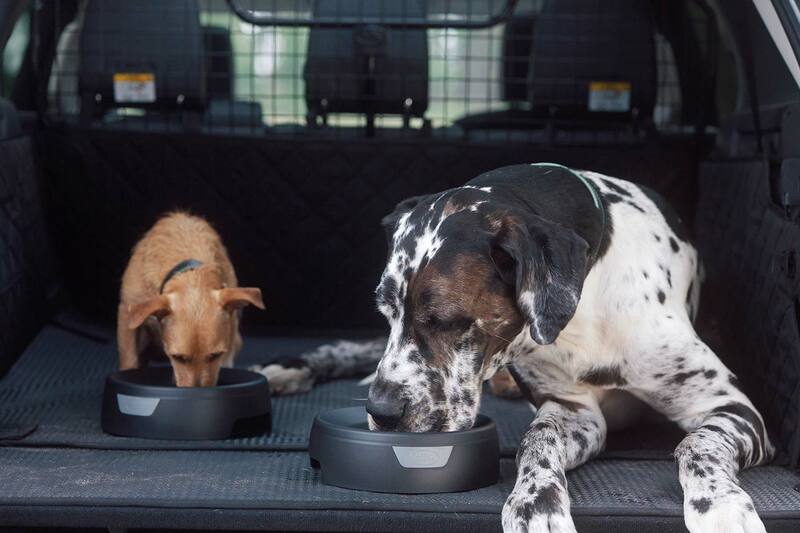 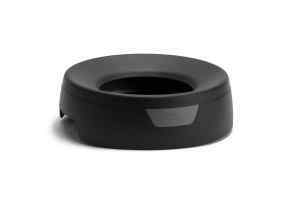 The spill-proof water bowl is rather smart, too: it holds 350ml and Land Rover reckons the clever design and non-slip rubber base stop water splashing out “on everything but the roughest terrain”.